the Lower Snake River Dams? The agency said it could "fix" the four dams for passage of juvenile threatened and endangered salmon and steelhead. 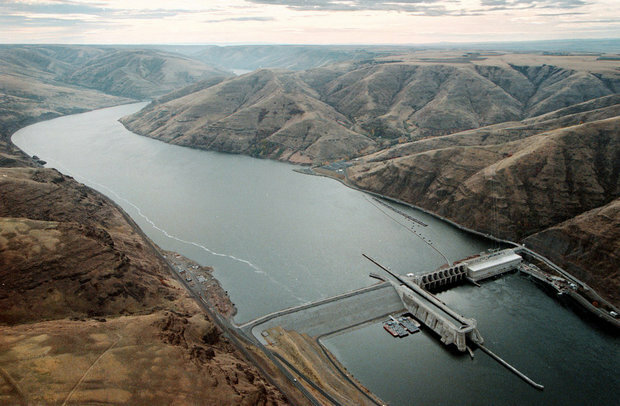 So taxpayers spent over $700 million for improvements to the four dams and McNary Dam on the Columbia. The agency claimed that the four dams were needed because the Lower Snake waterway would see increasing volumes of freight, such as paper, pulp, logs, petroleum, grain and other farm commodities. The Corps predicted that loss of power due to dam breaching would be costly and, according to a 2002 Corps' planner, it also considered wind energy "inconsequential." The Corps also said the four dams' 24 turbines (with expected 35-to-45-year lifespans) could be rehabilitated twice, during the Lower Snake project's 100 years, for $380 million.